The opening of the sempre highly-anticipated bi-annual international contemporary art exhibition in Venice is less than a month away. The 58th edition will be curated by the current director of the Hayward Gallery in London, Ralph Rugoff. This year’s edition is entitled May You Live in Interesting Times, and no matter how you interpret this interesting phrase that, according to the Biennale web site, is “of English invention that has long been mistakenly cited as an ancient Chinese curse that invokes periods of uncertainty, crisis and turmoil”, certainly seems appropriate. 90 national participations (Ghana, Madagascar, Malaysia and Pakistan are here for the first time) are housed in original pavilions in the Giardini, with later nation additions ensconced along the corridors of the Arsenale and spilling out into a number of often spectacular venues throughout the city. These 90 national participations are accompanied by an additional 21 collateral exhibitions and a variety of independent exhibitions, here to take advantage of the arty ambience. In short: from May 11 to November 24 you will have all the contemporary art you can physically, mentally, emotionally and otherwise absorb as you visit Venice. Magnifico! Open: 10-18, Tue-Sun, closed Mon. €25 Regular are valid for one admission to each exhibition venue, Giardini & Arsenale. €35 Plus (the best deal by far) entitles the holder to multiple visits for 3 consecutive days to each exhibition venue (Giardini and Arsenale; closing days excluded). €85 Accreditation grants unrestricted admission to each exhibition venue. There is no charge for any of the exhibitions in venues outside the Giardini and Arsenale. There are also discount tickets for students, over 65, and others, for complete information see the Biennale web site. One last note: There are excellent maps provided with your ticket purchase and also by VENEWS, found at any new kiosk around town. They make it easy not to miss a nearby exhibition as you wander the city. This entry was posted in Exhibitions & Museums, Festivals & events, Vita Venexiàn and tagged Biennale, Venice Biennale on April 14, 2019 by Living Venice. The time is la Belle Èpoche, the place is Vienna. Women are still corseted, but Freud is probing their psyche; while Art Nouveau begins to sweep the continent, Gustav Klimt and Josef Hoffman ‘secede’ in igniting a new world of art and architecture. The Secession was the movement in Vienna founded in 1897 by Klimt and architect-interior designer Josef Hoffman (among others), so named because they seceded from the conservative artist’s union of the time to pursue and document the creation of Gesamtkunstwerk, the total work of art. The exhibit itself is multifaceted, and richly illustrates the symbiotic collaboration between Klimt and Hoffman along with their contemporaries with a commentated timeline of two decades of paintings, jewelry, personal artifacts, and even the Beethoven Friezes (albeit copies) created by Klimt, once installed the iconic Hoffman building modeled before it. The museum interior has been completely refashioned to highlight the works presented: windows are covered, walls re-formed and painted, and in some cases effectively replaced (as in the case of the friezes) to permit each work to shine. And shine they do. Curator and Klimt expert Alfred Weidinger recounted the story of when Klimt was visiting Venice with a few friends, one of which was the charming Alma Schindler (later Mahler, whose former-Venetian abode is now the Oltre il Giardino B&B). The luminous mosaics of the San Marco Basilica interior, along with the equally luminous Alma Schindler, must have created quite an impression on Klimt, which manifested, said Weidinger, during his Golden Phase when he employed the extensive use of gold leaf and recalled mosaic form in paintings such as the opulent Portrait of Adele Bloch-Bauer* and The Kiss. The deeply-hued walls are ideal for featuring these works’ shimmering golden tones. The Kiss is not at the Correr (“The Kiss does not travel,” in fact); but Judith is here, as is Salomè, the Portrait of Marie Henneberg (above), and even Girasole — the Sunflower — donated to the Belvedere only ten days before the opening of the show at the Correr. (By the way, Salomè did not travel to the Correr from the Belvedere—but instead from across the Canal at the permanent collection at Venice’s own Ca’ Pesaro museum of modern art, where it was acquired after Klimt’s grand success at the Biennale of 1910. In fact, Ca’ Pesaro is hosting a collateral exhibition on the same theme, The Spirit of Klimt, a perfect complement the Correr exhibit. Klimt was an interesting character; he painted no self portrait (If you want to see me, look at my work) and kept no diary. He died of complications of Influenza 1918, leaving a number of unfinished paintings. So, Happy 150th Birthday, Heir Klimt. We’re happy to be able to celebrate your life and work today in this splendid exhibit. discounts for seniors, students, and with the San Marco Museum pass. * A recent NPR story highlights The Lady in Gold, a book recounting the recovery of Adele’s Portrait, appropriated by the Nazis during WWII. 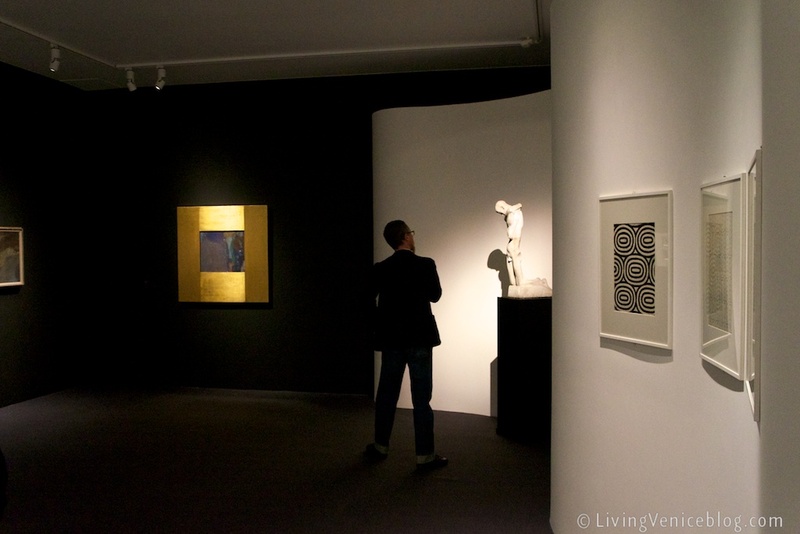 This entry was posted in Exhibitions & Museums, Vita Venexiàn on April 5, 2012 by Living Venice. and still around til November 27. The frenzied, fervent opening of ILLUMInations, the 54th Biennale seems far away now. During that week in late June, more than 51,000 visitors were estimated to have strolled among, perused, scrutinized, and analyzed the artistic offerings in the Giardini, Arsenale and the numerous collateral exhibitions strewn across the city. It’s unthinkable that anyone who doesn’t have months here could ever view all the works on display in the main and para-pavillions and city-wide venues, not to mention all the concurrent exhibits not officially associated with the Biennale itself. What’s a time-limited traveller to do? You could choose to start in the still slightly leafy Giardini and immerse yourself in MIKE NELSON’s mesmerizing, alternate time-and-space sculptural installation, whose creation involved a complete restructuring of the Great Britain pavilion (the advice you receive as you enter is “Watch your head, and your step”). Afterward, head down the hill to compare it with the intriguing Francia (France) installation by , and with Czech Republic, where you’ll meander through DOMINIK LANG’s captivating intro-retrospective featuring his own contemporary installation of his father’s “sleeping witnesses” from the 1950s. Don’t miss the Central Pavilion that, unlike dedicated national pavilions, hosts works by a wide assortment of artists. As startling today as it likely was in its own time, TINTORETTO’s “The Last Supper” traveled across the lagoon from its home for the last 420 years at San Giorgio Maggiore to form the centerpiece there along with two other monumental works; MAURIZIO CATTELAN’s Others, stuffed pigeons pervasively perched outside the pavilion and in, perhaps recalling their prevalence in Piazza San Marco, keep watch overhead. They contrast markedly with the “invisible painting” of Swiss/New York artist BRUNO JACOB, created with, among other things, water and steam. Cross the canal bridge to reach the Austrian pavilion. It’s not necessary to understand the precise intention of MARKUS SCHINWALD’s intriguing yet subtly disturbing juxtapositions of time, subject matter, and artistic medium to be drawn in by them; the labyrinth of corridors that presents each work contributes significantly to their effect. The Greek pavilion offers DOHANDI’s profound, minimalist respite at the opposite end of the park, Poland’s YAEL BARTANA has expertly crafted the tongue-in-cheek …and Europe will be Stunned, a three-video presentation; 30 days of Running in the Space is EGYPT’s tribute to beloved artist and activist AHMED BASIONY, who was downed by snipers in Tahrir Square on the Friday of Wrath. If you instead choose to tour the Arsenale which features a number of emerging countries this year, you may choose to turn the corner at the end of the Corderie and take in a bit of “The Clock,” Swiss-American CHRISTIAN MARCLAY’s 24-hour film in which every clip refers to the actual time of day. It’s a masterfully edited piece relating past to present that will engross you for as long as you choose to stay and watch. The Biennale extends far beyond the confines of the garden pavilions and Arsenale, installed in some of the most evocative and rarely accessible venues in the city. Take vaporetto Line 62 from the Giardini Biennale stop to Spirito Santo on the Zattere; you’ll be deposited directly in front of the Emporio die Sali, the old salt warehouses (themselves worthy of a visit even without the art). There you’ll find “The Future of a Promise,” a pan-Arab collateral exhibition featuring 22 artists and presenting an extraordinary range of refined works that soar through the expansive warehouse space. Across town at the Scuola della Misericordia is Jan FABRE’s striking Pietas, an installation consisting of marble sculpture reflected in golden flooring — an impressive building in its own right that could not have been put to much more impressive use. Finally, TRA: The Edge of Becoming is not a part of the 54th Biennale — but could easily be (they even have the same closing dates). The impeccable renovation of the Palazzo Fortuny makes it an extraordinary exhibition structure, and one of the few that could display TRA’s over 300 works in any coherent way. Artists represented include notables Rodin, Duchamp, Fontana, Kapoor, and Lèger to name a few, with many contemporary artists’ works commissioned specifically for the exhibition. There are few visitors who wouldn’t enjoy adding this edition of the Biennale to their itinerary anytime before November 27th. For the frequent visitor, it adds a present day dimension to an already beloved destination. €20 (full), discounts for students and seniors. There is a Biennale Navetta transfer from the Giardini to the Arsenale; and also a shortcut between the back of the Giardini and and top of the Arsenale. This entry was posted in Exhibitions & Museums, Festivals & events and tagged art, Biennale, contemporary, venice on November 1, 2011 by Living Venice. The last preview day was Friday, and the air was considerably more relaxed. Took in more both at the Giardini and in the Arsenale…and managed to catch Best Artist Golden Lion winner Christian Marclay’s “The Clock” before running to a author preview at the new cafe at the Serra greenhouse. Basta for now, although there is much more to see of the Biennale and other shows running concurrently — including the one at the Fortuny that a friend described as the best she’s ever seen there — now that’s saying a lot. The 54th Biennale opened to the public as of June 4th and will be around until the 27th of November — plenty of time even for off-season travelers. Outside the official venues there are free exhibitions sprinkled throughout palaces, scuole, ex-churches, hotels and businesses in Venice — you can’t help but run into them. Although art pros from critics to collectors to curators will have lots to say about the composition and creation of this year’s Biennale, there’s something for everyone — see for yourself until November 27. 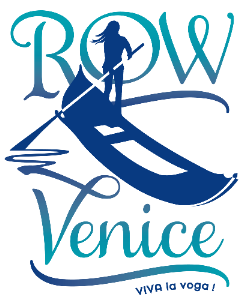 This entry was posted in Exhibitions & Museums, Sightseeing Venice, Venice Instructions and tagged 4th Venice Biennale, art exhibitions, contemporary art, international, venice on June 7, 2011 by Living Venice.